The vertical drop from summit to base is 3281 ft. The average difference in altitude between base and summit of Ski Resorts in France is 2848 ft. The high point of the ski resort is located at an elevation of 6890 ft.
Guzet is among the 5 best rated Ski Resorts in the Pyrenees. Season starts on Dec 16 and ends on Mar 19 (93 days). Average season duration in France is 118 days. Average snow depth during the season (Dec 16 to Mar 19) is 36 " at summit elevation and 13 " at base elevation. Snow coverage is usually best during March, offering an average snow depth of 42 " at summit elevation and 15 " at the base. Guzet features 54 sunny days on average per season. The average for all ski Resorts in France is 52 sunny days. February is the sunniest month with an average of 21 sunny days. 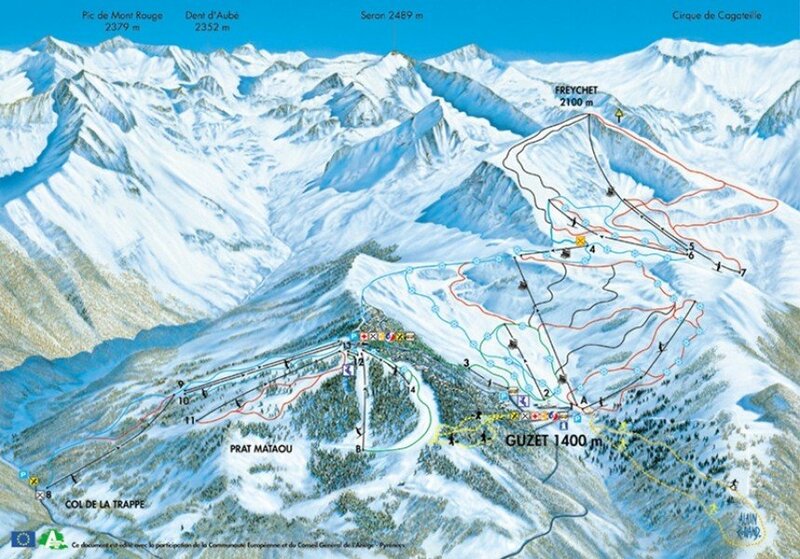 Offering 31 miles of slopes and terrain, Guzet is among the 5 largest Ski Resorts in the Pyrenees. The romantic resort Guzet provides you with a diverse basis for your winter holiday. 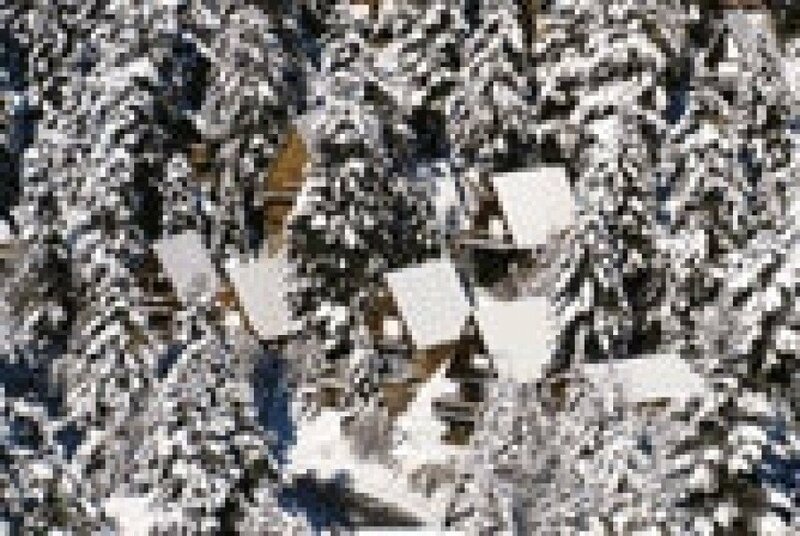 Nestled into pinetree woods the skiing area offers any skiing enthusiast a special experience. The ski area of Guzet is divided into three parts and skiers of all ability levels may enjoy the natural beauty of its surroundings. 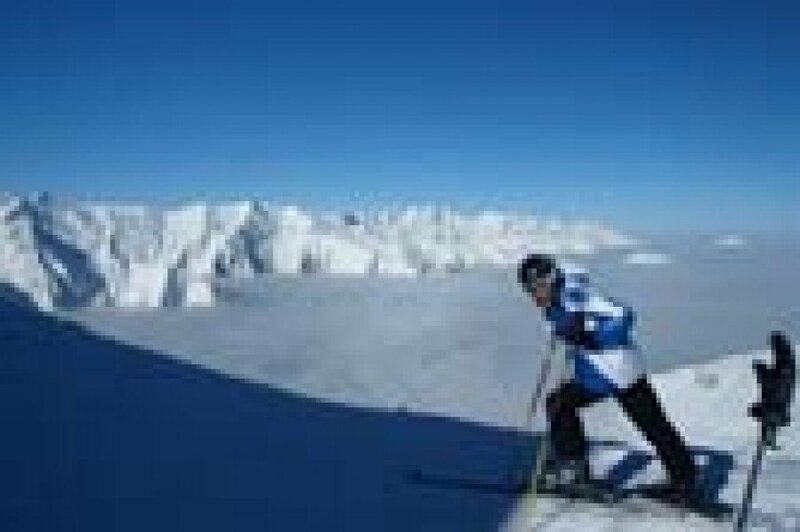 You may also discover a range of activities, whether it is the long cross-contry skiing trial or one of the snowshoeing loops. For the more interactive there is a snow park with an included soundsystem as well as a luge area to explore. The ski courses offered at Guzet will enable you to improve your abilities further and the friendly instructors will help you with tips and tricks at any time!